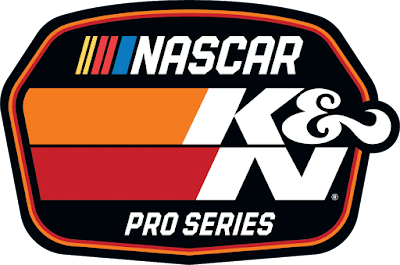 Wenatchee, Wash. (April 4, 2019)–Officials with Yakima Speedway have announced that the 52nd Annual Yakima Speedway Apple Cup, scheduled for April 6-7, has been postponed to May 11-12 due impending weather. 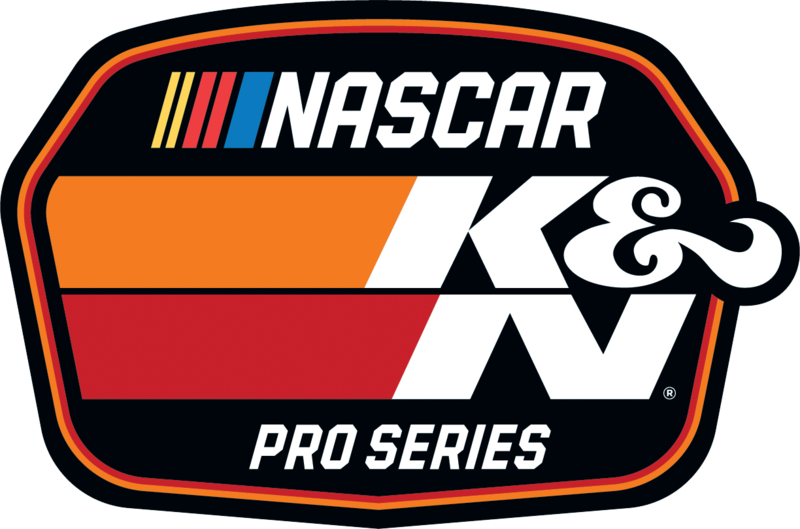 The Northwest Super Late Model Series season-opening event will now be held April 27 with the running of the Leonard Evans 150 at Wenatchee Valley Super Oval in East Wenatchee, Wash.
MADERA, CALIFORNIA (April 2, 2019) – A pair of talented teenagers will try to defend their opening night victories when the MAVTV-televised Late Model divisions continue on Saturday at Madera Speedway. 15 year-old Dylan Zampa of Napa won his Nut Up Pro Late Model debut in March while Las Vegas’ Tanner Reif, 13, scored the 51FIFTY Energy Drink Jr. Late Model series victory. Both victories were rain shortened affairs on the one-third mile asphalt oval, with drivers staring down full length action this weekend. 80 laps are scheduled for the Pro Late Models while the Jr. Late Models will be in action for 70 laps. They are joined by Mini Cups vs. Bandoleros, Modified Super Toyotas, and Toyota Sedans for a full evening of motorsports entertainment. Zampa’s triumph to open the year was a narrow one over his older brother Logan. They swapped the lead multiple times during a side-by-side battle that lasted more than ten laps. Dylan cleared Logan on lap 49 before the caution fell and the race ended prematurely due to weather. A trio of top contenders in 2019 were waiting in the wings when the race ended. Defending champion Matt Erickson, 2018 Madera Late Model champion Jason Aguirre, and six-time Jr. Late Model winner Austin Herzog will be among those trying to improve their fortunes to challenge the Zampas at the front of the pack. The Zampa brothers will look to add Saturday’s $2,000 feature to their recent haul of $16,500, including Logan’s win in last October’s Short Track Shootout. The 51FIFTY Jr. Late Models for drivers ages 10-16 years old attracted a strong 20 car field for their opener. Early action was dominated by new drivers such as Riverside’s Cody Kiemele and Bakersfield’s Seth Wise. Las Vegas’ Tanner Reif, who finished third in the 2018 championship, found his way to the front for the opening victory with Madera’s hometown driver Joey Iest running second. Both drivers have established themselves as championship favorites while Bakersfield’s Kabe McClenny had a strong start with a fourth place finish. Wise led all rookies from third with fellow Bakersfield driver Kercie Jung finishing sixth. Mini Cups vs. Bandoleros will open their 2019 season on Saturday after they were unable to race on opening night. The Bandolero portion of the field has grown substantially to include a mix of Northern California and Southern California drivers. The Mini Cup side also features several rookie drivers. Madera’s youngest drivers race for 20 laps in a “race within a race” format where points and trophies are decided separately by class. 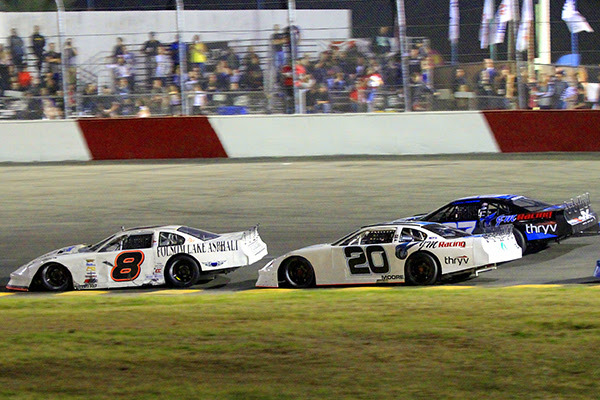 Both of Madera’s regular entry level divisions, the Modified Super Toyotas and Toyota Sedans have two points races in the books in 2019. 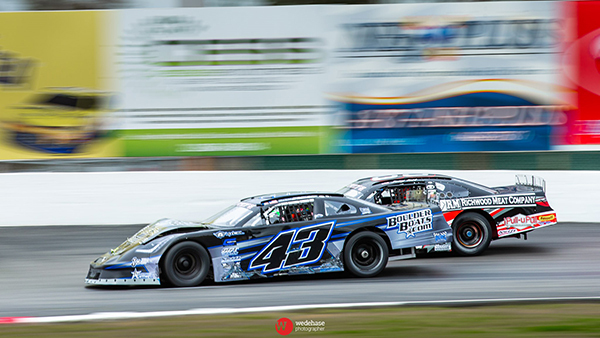 Jason Lawton has claimed victory in both Sedan races so far by comfortable margins. Andrew Davidson and Greg Tyler round out the top-three in the points. In Modified Super Toyotas, Shaun Reynolds has a win and a second place finish to lead the points over former track champions Ryan Reynolds and Bert Stephens. Both Toyota divisions will stage 25 lap features this weekend. Action gets started on Friday evening with practice from 5 p.m. – 8 p.m. Saturday’s program begins with pit gates opening at 11:00 a.m. Practices run from 1:15 – 2:55 p.m. with qualifying and heat races to follow. The first set of main events starts at 5:00 p.m. including the Mini Cup feature and the Late Model B Main. Opening ceremonies are at 6:00 p.m.
Tickets for this great night of racing are just $15 for adults, $13 for seniors, $7 for youth ages 6-12, and kids five and under are free! Madera Speedway is presented by major partners Nut Up Industries, 51FIFTY Energy Drink, iPull-uPull, and Color Fast Industries. Contingency sponsors include Five Star Bodies, Maita Motorsports, McAllister Precision Marketing, and StopTech Brakes. 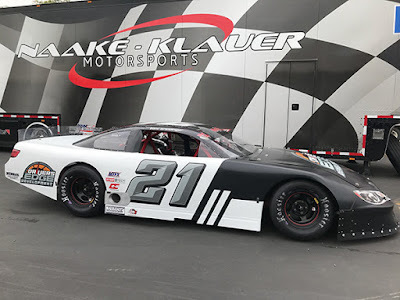 Wenatchee, Wash. (April 2, 2019) – For Mike Longton the chance to race played a major factor as to why he entered the 52nd Annual Yakima Speedway Apple Cup. For the last few years the Moxee Missile’s foray into Northwest Super Late Model Series racing has been few and far between. “If I could I’d race every weekend but it’s getting tougher and tougher these days. Work has kept me so busy the last three or four years that we’ve only been able to get out to a few races a year,” he said. “Last year we got wadded up in the first race of the year we ran, and we didn’t have the time to fix the car, so we were done for the season." Longton is excited to aim for a win, put on a show for the fans and support a longtime sponsor. With a schedule of limited racing the last few years, Longton explained that tire management is key to getting his No. 37 Ford to Victory Circle and the Apple Cup 125 trophy. “The tires we run now aren’t the same as when I got started 20 years ago; that’s just what super late model racing has come to. We run single file for 180 laps at times (in the big 200-lap shootouts) with a lot of riding waiting to get to the end of the race then make our moves. “You can’t really practice on old tires and learn anything like we used to be able to do. Some guys (still try) and sticker up for every practice and some use old tires. We’re kind of in the middle of the road with that (strategy). Yakima still has enough grip left in it that you’ll have to have a well-balanced car (to win the race). If you’re on the flip side (of not having a balanced race car) you’ll burn up the tires with too much power being put to the track. Focused on the set-up of his own Ford, Longton still takes time to watch how his competitors approach the weekend, he added. 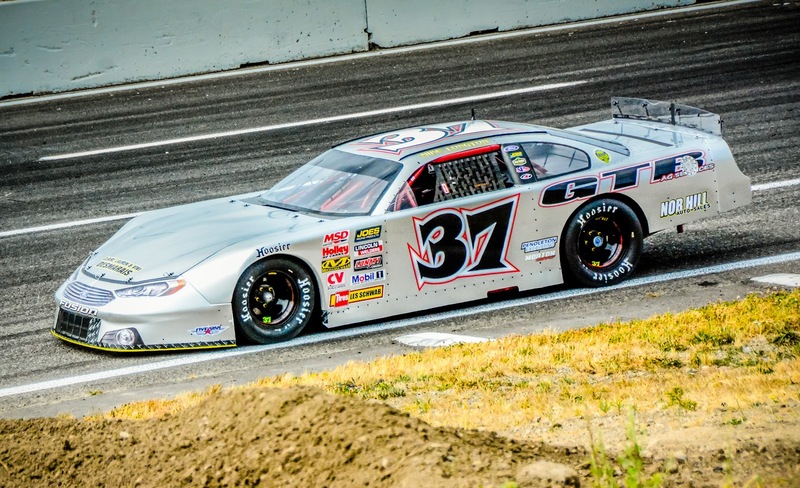 Apple Cup is the first of several big races offered in the Northwest that Longton has circled on his 2019 schedule. Earning a weekend victory adds to a few more races Longton would like to win in 2019. The Northwest Super Late Model Series is the premier regional touring Super Late Model series in the Northwest. The series has many valued sponsors including Hoosier Racing Tire, McGunegill Engine Performance, Port City Race Cars, AR Bodies, Joes Racing Products, Penske Racing Shocks, Accelerated Graphics, Five Star Bodies, Longacre Racing Products, Wheel Chill, KRC Power Steering, Atomic Screenprinting and Embroidery, Franks Racing Radio, BLP, Jefferson Pitts Racing, Leonard Evans Used Car Super Store, The Ti Company, Pacific Steel Structures LLC and Racing Dynamics. For more information on the series visit www.nwslms.com or on Facebook or Twitter. To contact the series please email northwestsuperlatemodels@gmail.com. 1. (4) Trevor Huddleston, Agoura Hills, Calif., Ford, 150 laps, 65.139 mph. 2. (3) Tanner Gray, Artesia, N.M., Toyota, 150. 3. (2) Derek Kraus, Stratford, Wis., Toyota, 150. 4. (5) Jagger Jones, Scottsdale, Ariz., Ford, 150. 5. (1) Hailie Deegan, Temecula, Calif, Toyota, 150. 6. (8) Cole Cabrera, Exeter, Calif., Ford, 150. 7. (12) Matt Levin, Tucson, Ariz., Chevrolet, 150. 8. (11) Brittney Zamora, Kennewick, Wash., Toyota, 150. 9. (6) Dylan Garner, Yorba Linda, Calif., Toyota, 150. 10. (7) Jack Wood, Loomis, Calif., Ford, 150. 11. (9) Todd Souza, Aromas, Calif., Toyota, 150. 12. (15) Armani Williams, Detroit, Michigan, Ford, 149. 13. (14) Travis Milburn, Eagle, Idaho, Ford, 149. 14. (22) Austin Thom, Dundee, Ore., Chevrolet, 149. 15. (16) Bill Kann, Scottsdale, Ariz., Chevrolet, 148. 16. (10) Joey Tanner, Portland, Ore., Ford, 148. 17. (18) Nick Joanides, Woodland Hills, Calif, Toyota, 146. 18. (13) Kody Vanderwal, LaSalle, Colo, Ford, 146. 19. (17) Takuma Koga, Nagoya, Japan, Toyota, 145. 20. (19) Ron Jay, Eagle, Idaho, Ford, 144. 21. (20) Rich DeLong III, Santa Clarita, Calif., Chevrolet, 69, electrical. Lap Leaders: D. Kraus 1-25; T. Gray 26-77; D. Kraus 78-143; T. Huddleston 144-150. Standings: 1. H. Deegan, 86; 2. T. Huddleston, 84; 3. J. Jones, 83; 4. D. Kraus, 83; 5. T. Souza, 72; 6. M. Levin, 71; 7. J. Tanner, 69; 8. B. Zamora, 69; 9. T. Milburn, 67; 10. K. Vanderwal, 66.